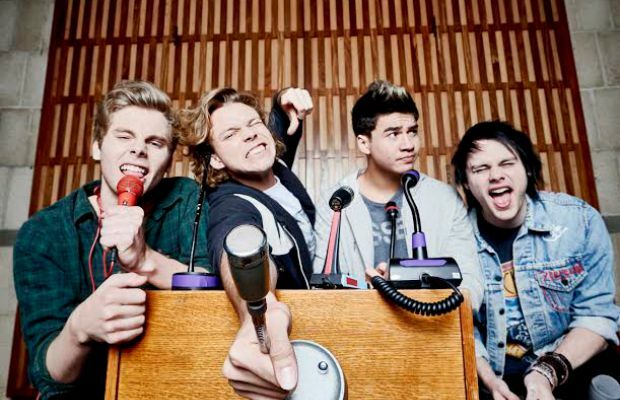 5 Seconds Of Summer have offered fans a fourth glimpse their impending studio album, Sounds Good Feels Good, in the form of “Money,” an anathematic, pop-punk banger that will likely garner quick comparisons to the Aussie outfit’s self-titled debut. Stream the track by following the jump below. The quartet’s newest LP was produced by John Feldmann (All Time Low, Good Charlotte, Boys Like Girls) and Mike Green (Pierce The Veil, Breathe Carolina), and is set to arrive on October 3 via Hi Or Hey Records/Capitol Records. Pre-order it here, and let us know if you’re excited in the replies.